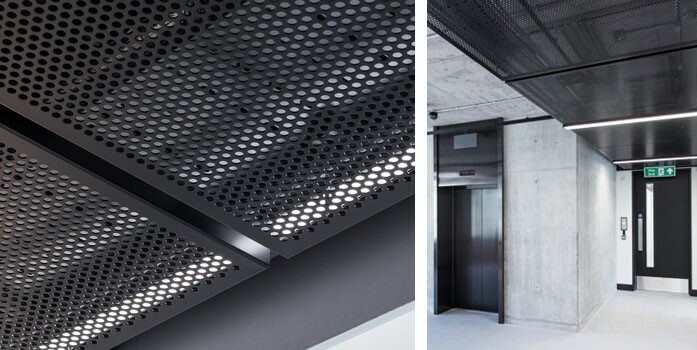 Integrated with LED LG3 strip lighting the 9mm diameter perforated modules encourage views of the exposed industrial style services. 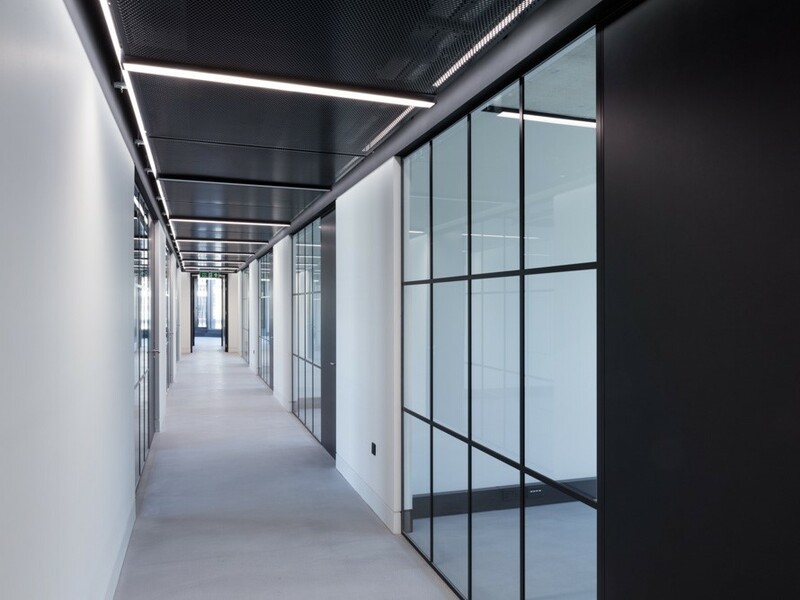 Located in the restricted corridor areas these lightweight suspended aluminium trays help to create an airy, expansive sense of space in this creative office and studio environment. Our bespoke ceiling panels encompass a range of options including standard geometric shapes, radial and waveform designs.